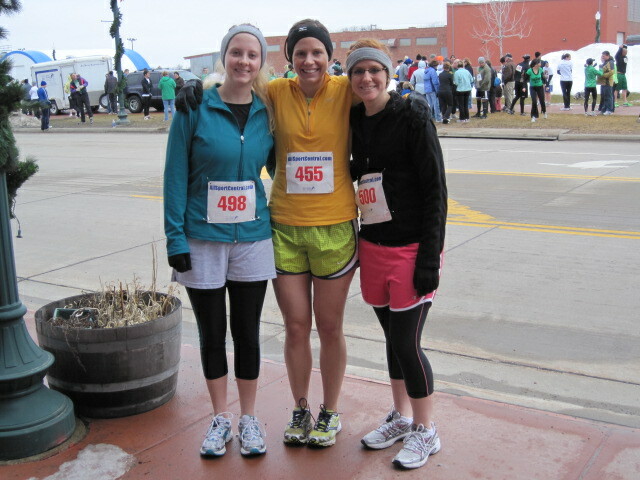 Yesterday was the St. Patty’s Day 5-miler. Goal: finish in under 40 minutes. Result: 39:24! The race went pretty much like we planned. 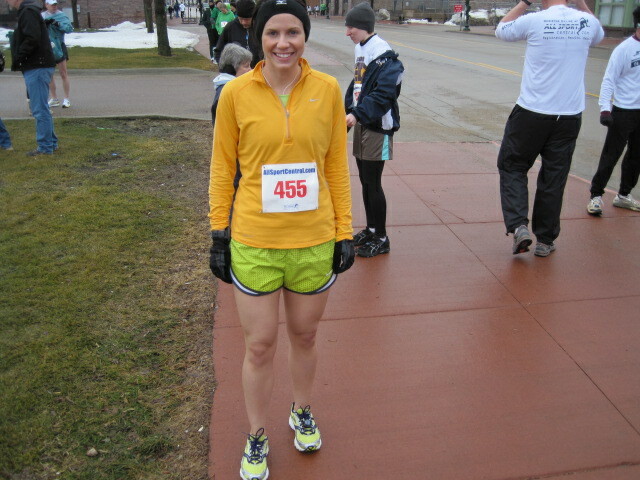 I held back in mile 1 (the downhill) and everything felt easy breezy. There was some uphill business thrown in along the way, and I did just what Coach said on those–let the pace relax a little, run into the hill, recover coming back down. The only thing we couldn’t have planned for were the FOUR water hazards that required coming to a complete stop to go around (also ankle-deep mud. Yay.) Obviously getting through those areas was quite a cluster since it was single-file, but I tried my best to keep moving. Coming up the last hill (the one that felt so wonderful on the way out) I reached a place mentally where I was almost ready to throw in the towel. My heart rate was near its max, and I felt like I was barely moving. 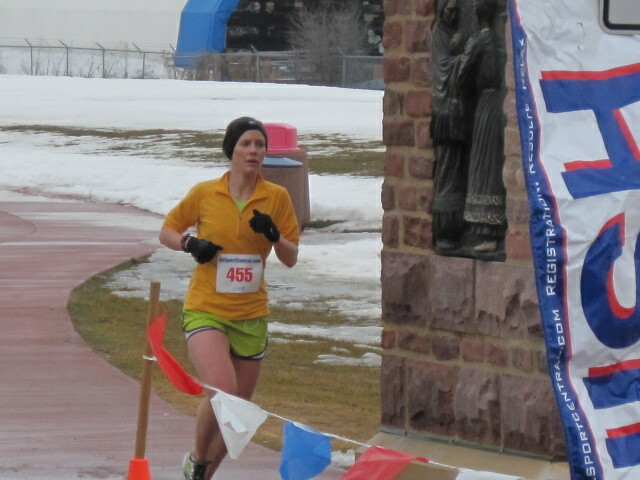 I just kept pushing, and suddenly the ground started to level out, my pace dropped, and I could see the finish. I looked at my Garmin and realized I was going to get there in time, and ran like hell for the line. This wasn’t an A race, but man do I feel good about this. We set a goal, I worked for it, and I made it. I’m right where I need to be in pursuit of my 1:47 half next month. My sister-in-law Megan and her friend Liz ran the 5k that followed my race, and I ended up tagging along to help pace/babble encouraging things. 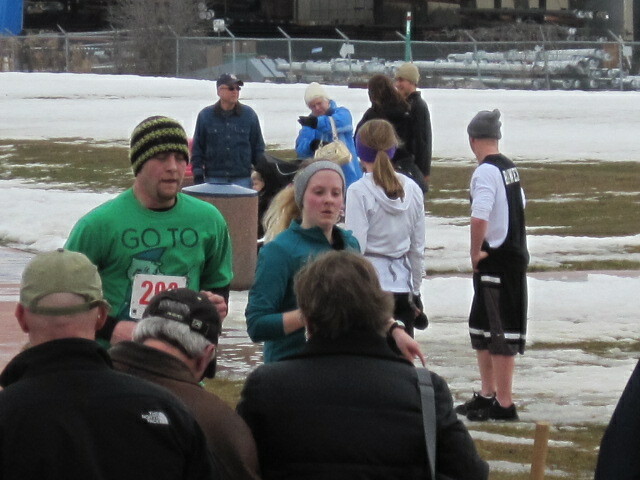 We picked a goal out of the air at the starting line (to finish in under 28 minutes) and Megan nailed it! Did I mention Megan has totally caught the bug and joined her HS track team? Cause she did. 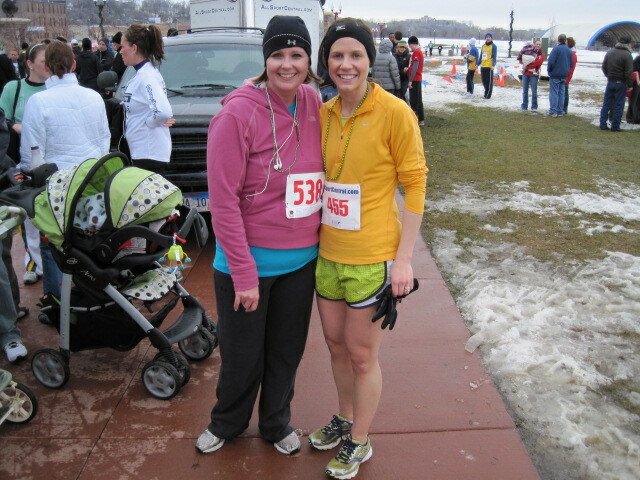 My friend and coworker Randee also ran in the 5k yesterday, and it was her first race EVER! So proud of her! After it was all over I met up with some other runners/friends at the awards ceremony and had my free beer! Wait, back up, first I went home and washed the mud off my feet and legs, put on dry shoes, THEN went to have my free beer. Overall, a really fun day. Indoor tris are a great way to get started and are a lot of fun, I bet you’ll be hooked! 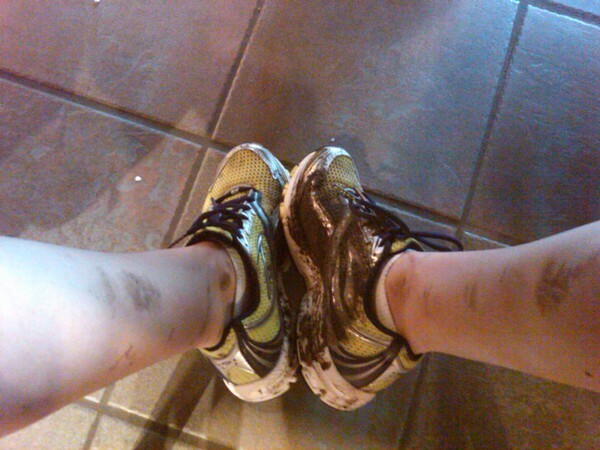 I live on a dirt road and all of my shoes look like that– gotta love the spring mud. Yes, they are owed their money back.If your release has a refnerece to incurred medical bills, the insurance company will pay those bills in addition to your settlement with them.If not, you will owe them out of the money you get paid.Ask the at fault party’s insurance company, they will be happy to explain how it will work to you.